In our answer to the BBC Radio 4 programme, ‘A Life Scientific’, BAPT board member Richard Owen interviews experts, innovators and leading figures from the world of personality psychology. 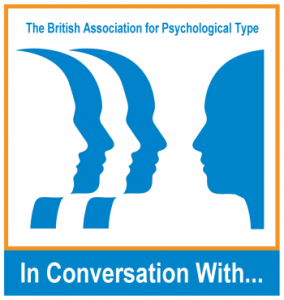 Hear stories, experiences, thoughts and opinions on current topics in Psychological Type – where is it now and where is it going? Keep an eye on the Events page for any further Conversations. Meanwhile, enjoy watching the videos which we’ve recorded below. Originally formed in 1989, the British Association for Psychological Type (BAPT) is a charity which aims to provide a forum for practitioners and enthusiasts of psychological type systems – from HR professionals to self-employed coaches, students and people with a simple interest in Type – to come together to discuss, promote and enjoy exploration of the endlessly compelling world of type theory. Through conferences, regional meetings, events, webinars, workshops, ongoing publications and resource archiving, the committed volunteers in BAPT encourage lively debate in a friendly, cooperative atmosphere where members can enjoy sharing their journey and growth within this stimulating subject. See more about BAPT here. Richard is a current board member / trustee and Treasurer of BAPT. As the founder of ‘Who Am I Really‘, he delivers courses, workshops and coaching in London and is supervised by renowned analyst John Beebe. 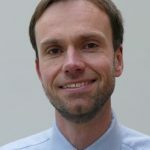 He has an MSc in Organisational Psychology, is an MBTI certified professional (Step 1 and 2) and a registered BPS personality test user. Richard had a previous career in many areas of the music business, including work as a bassist, sound engineer and promoter. In his spare time he enjoys Balboa swing dance, and loves the outdoors. Other interests include Reflexology and Shiatsu.